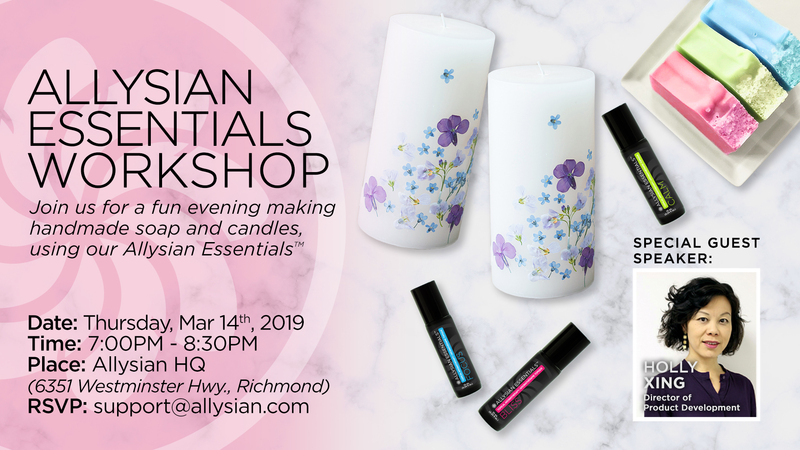 Join us for a fun evening making handmade soap and candles, using our Allysian Essentials™! RSVP will be required due to material preparations. Please RSVP at [email protected] before Monday, March 11th, 2019.